Zachary is so excited to be returning as a musical director for the 24 Hour Musicals, the most impossible theatrical event of the year. 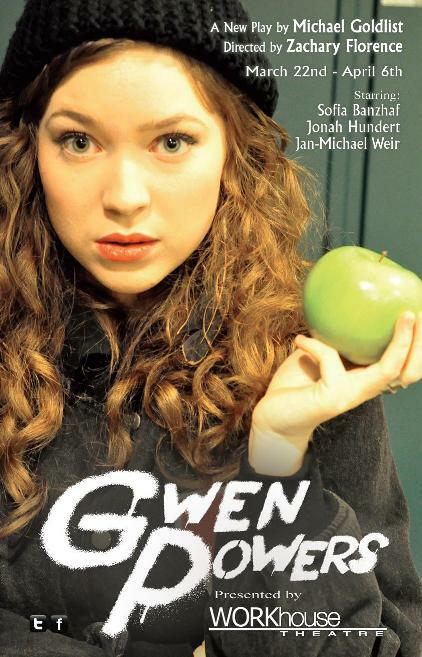 Four short (15 minute), brand-new musicals will be written, cast, rehearsed, and performed at the Gramercy Theatre in New York over the period of a single day, featuring an all-new all-star line up of Broadway performers, stars from TV and film, great composers and writers, directors and — to top it all off — choreographers and musical directors. The participants will be a who’s who of American musical theatre and film, TV and music, collaborating, crashing, conspiring, and cramming to perform four new musicals in one day. All proceeds from this event benefit the Orchard Project. Click here to learn more about this amazing event. Zachary and playwright Michael Goldlist recently discussed the upcoming premiere of Gwen Powers on Walk Left: The Podcast. Click here to listen. Zachary is excited to be directing the world premiere of Gwen Powers, a powerful and provocative new play by Michael Goldlist presented by WORKhouse Theatre. It opens on March 22 at Theatre Passe Muraille’s Backspace and runs until April 6th. Click here for info and tickets. Zachary is thrilled to be returning to the Shaw Festival in Niagara-on-the-Lake, Ontario for their 2013 season. He will be composing original music for Peace in Our Time: A Comedy at the Court House Theatre and Enchanted April at the Festival Theatre. Previews for Peace in Our Time begin on May 19, with the production running in repertory until October 12. Enchanted April begins previews on June 25, with the production running in repertory until October 26. Click here to learn more about the Shaw Festival’s 2013 season and purchase tickets. 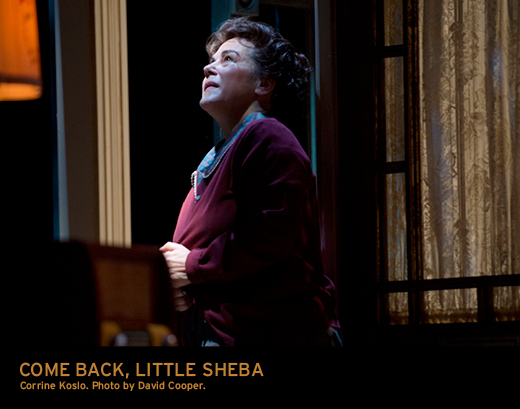 Now that Come Back, Little Sheba has closed, some music from the production can be found here. Thanks again to Jeff Wolpert and the amazing musicians. The Shaw Festival magazine recently interviewed Zachary, along with composers Wayne Gwillim and John Gzowski, about composing music for non-musical plays. It’s always fascinating to get glimpses into different composers approach an assignment. Click here to read the interview (unfortunately, the embedded audio clips don’t work, but music from the play will be posted soon). The reviews are in – Sheba’s a hit! Click here for tickets to the show that the Globe and Mail called “quiet but breathtaking”, with Corrine Koslo and Ric Reid giving “the two best Canadian performances I have seen this year” (National Post). The Shaw Festival’s production Come Back, Little Sheba “challenges the heart and provokes the mind” (Hamilton Spectator), and “plays like this are where the company really shines” (Sun Media). Directed by Jackie Maxwell, with design by Christina Poddubiuk and lighting by Bonnie Beecher, the play runs in repertory until October 19. Zachary is composing original music for Come Back, Little Sheba at the Shaw Festival in Niagara-on-the-Lake, Ontario. William Inge’s play launched his career when it premiered on Broadway in 1950 and was made into a film starring Shirley Booth. Jackie Maxwell directs an incredible cast in this rare look at an unjustly neglected classic of the American stage. Previews begin on June 28 and the production runs in repertory until October 19. Click here to learn more about the production and purchase tickets. Eastern Front Theatre’s production of The Passion of Adele Hugo took home wins for Outstanding Original Score (Zachary Florence) and Outstanding Musical Direction (Lily Ling) at the 2012 Robert Merritt Awards! The Merritt Awards are given annually by Theatre Nova Scotia to recognize excellence in Nova Scotian theatre. Read the full list of winners here.